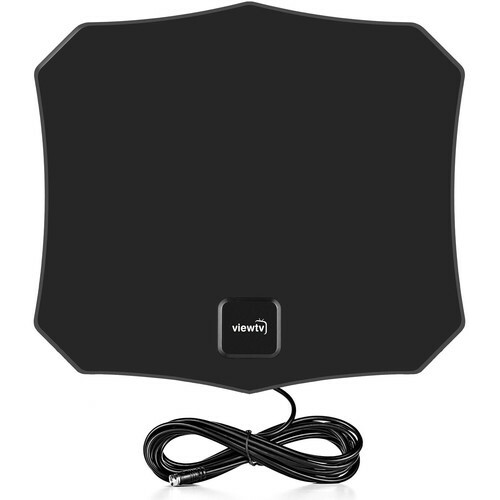 Receive free over-the-air (OTA) broadcast TV with the ViewTV VTVVT9033P Gold Series Flat Amplified Digital HDTV Antenna. It has a reception range of up to 60 miles and features an amplifier designed to enhance your signal. Box Dimensions (LxWxH) 13.5 x 11.8 x 1.8"